Are you looking for St. Patrick’s Day kids’ activities? Whether your child is an art-enthusiast, musical or just loves to play, these ideas are easy, imaginative and fun! So, try one. Or try them all and get your green on this holiday. If there isn’t a St. Patrick’s Day parade going on near you, create your own at home. Don’t worry about buying a bunch of musical instruments right now. You can make your own! Your child can bang on pots and pans with wooden spoons to create her own drums. Cover the ends of paper towel rolls with soft cloth (bind them tightly with rubber bands) after filling with dried beans – now you’ve got shakers. Put two pan lids together to make cymbals. 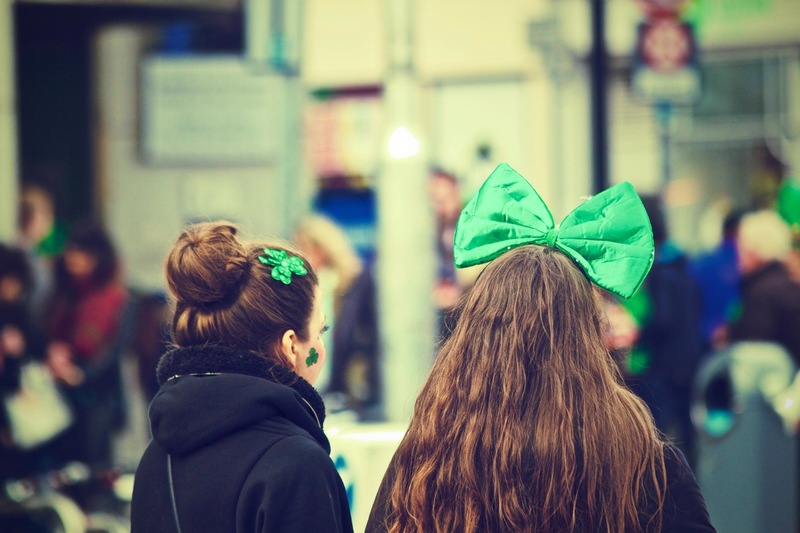 Your child can dress in green, tie a green ribbon in her hair or even face-paint shamrocks on her cheeks. March around the house, singing old Irish songs and making magical music. Cut heart-shapes out of all things green. Use green construction paper, craft felt, fabric, tissue, board or any other material. Why hearts? Your child can collage them together to make shamrocks. Glue three hearts together, with the points facing each other to make the shamrock shape. Use your favorite cupcake recipe (or a boxed mix) for white or vanilla cake. Drip in a few drops of green food color, mix thoroughly and bale. Top the green cupcakes with equally as green frosting (you can mix green food coloring with white frosting). If you don’t have green food coloring, your child can mix yellow and blue together. Sprinkle a rainbow mix of crystal sugar or sprinkles on top to complete the St. Patrick’s Day treat!